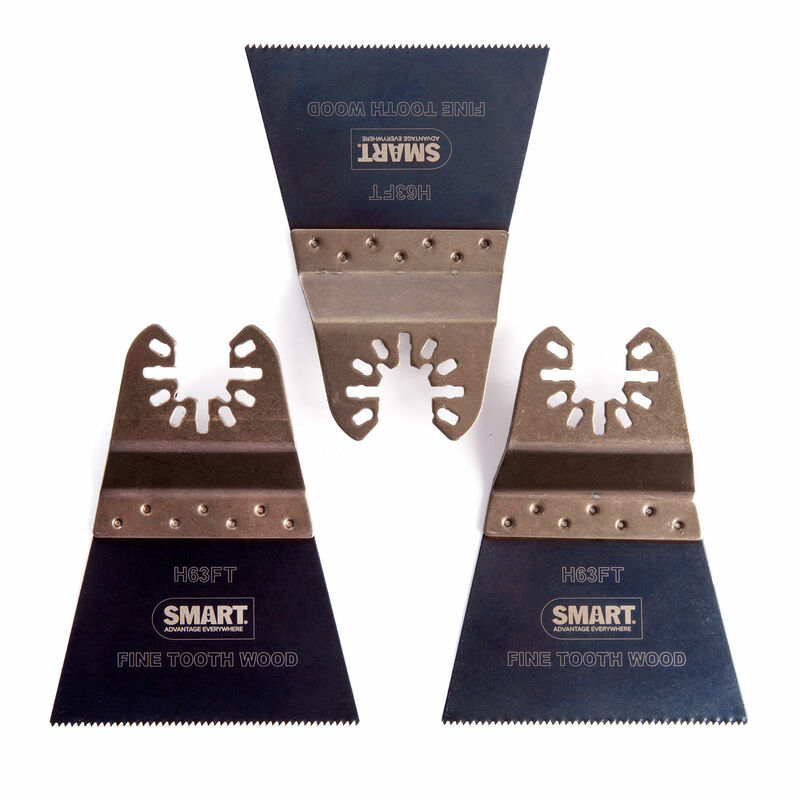 The Smart H63FT3 is a pack of 3 fine tooth blades, ideal for general purpose timber and plastic cutting. 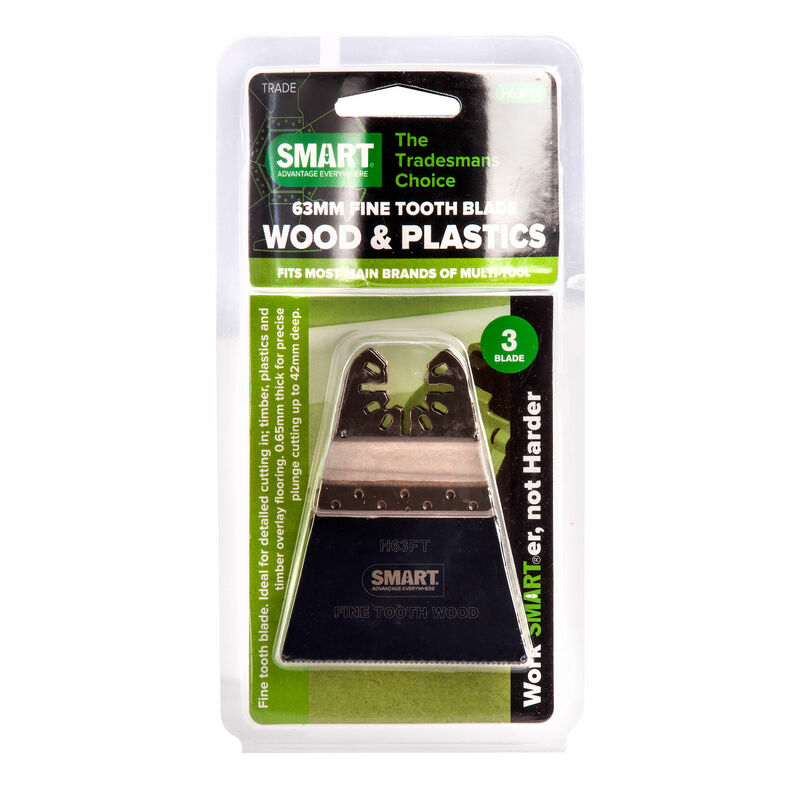 The blades are a firm favourite for detailed cutting in timber. The smaller tooth design still give a fast cut, but a neater finish than the Japanese tooth blades, and a very controlled cut when precision is needed.